I've been working on calculating parametric ES assuming the returns follow Paretian stable law. Given the four parameters - $\alpha, \beta,\sigma,\mu$- Stoyanov introduces closed form solution of the problem (assuming returns as the r.v., not losses - hence VaR is the negative quantile and we are integrating over the left tail, as I understand it. - see below. Any ideas where I could possibly go wrong? 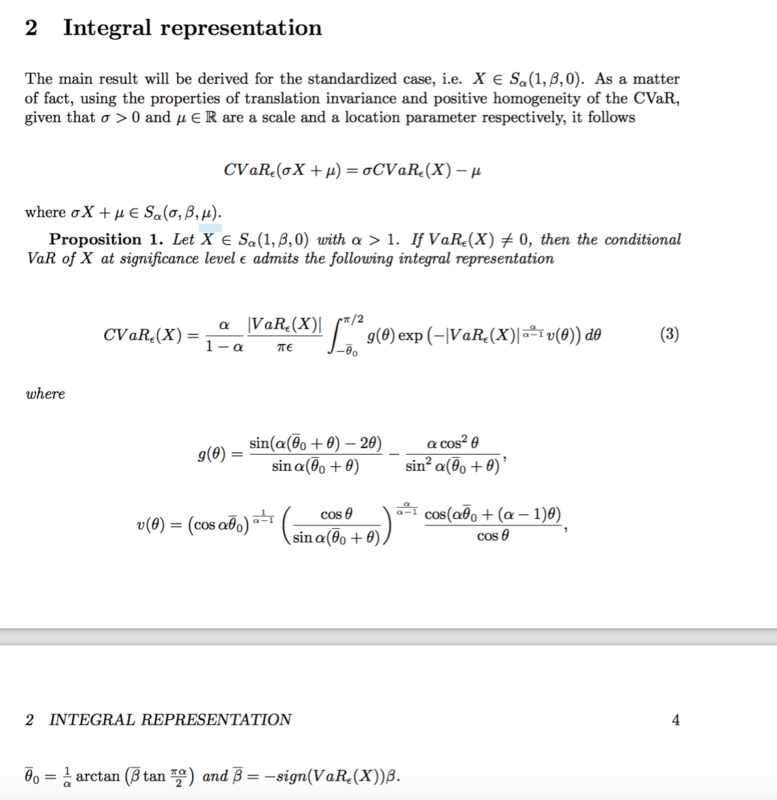 Here are my results: I use integrate in Rfor the integral and it seems to give reasonable values of the integral with absolute error around 1e-04. Browse other questions tagged r risk portfolio-management statistics distribution or ask your own question.